Landslides in Himalaya are a perennial problem. A major cloudburst in the state of Uttarakhand resulted in many landslides. 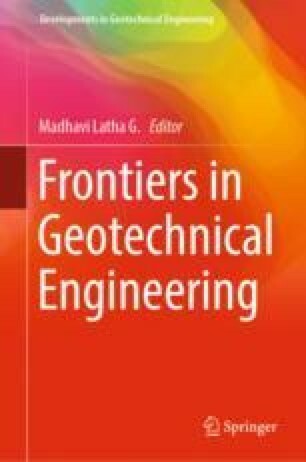 This paper presents the case study of “Rehabilitation/Treatment of landslide location, Birahi on NH58 in state of Uttarakhand.” The problem at most of the landslide locations is the flow of overburden material from uphill slope on to the valley side, surface runoff, formation of natural channels, climatic changes, heavy rainfall, toe erosion due to flow of the river, etc. Hence, it has been decided to undertake rehabilitation/mitigation of these landslide locations with slope protection and drainage improvement works. The paper herein discusses in detail about the sustainable and environmental-friendly solutions adopted for the problems at one of these locations, viz., “Birahi.” It also briefly describes the methods of analysis and design of the solutions provided along with the geological and topographical conditions at the site. Moreover, it also emphasizes on the use and application of instrumentation and monitoring after construction.